Built as a milking barn, this structure originally housed 16 cows and later became a calf rearing barn after the free stalls were built in 1965. 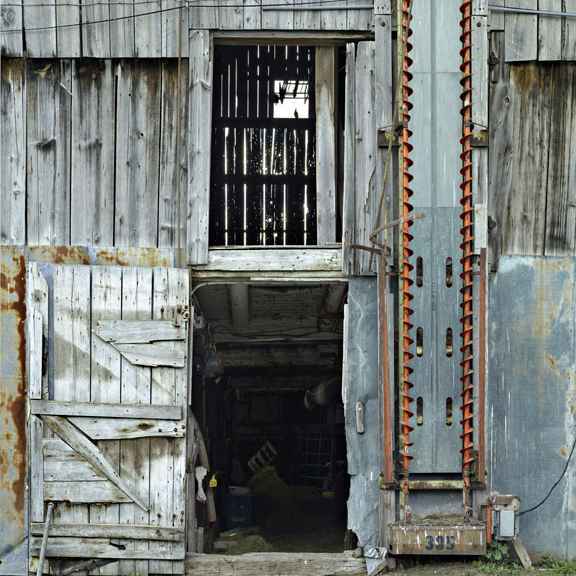 The vertical elevator seen on the outside shows how the square bales traveled up the side of the barn where a conveyor and horse fork track delivered the hay to the loft above. This is now the 5th generation of Halls to be working this farm.